What does it mean for your holiday? Will you be able to get your money back and book flights with another airline? Or is that money gone for good? What happens to my flight? Flybmi has cancelled all of its flights as a result of filing for administration. As a result, if you haven’t already arranged an alternative flight, then don’t head to the airport. One thing to check is whether you are ATOL protected. ATOL stands for Air Travel Organiser’s Licence, and is a protection scheme which covers many air package holidays sold by British travel firms. So if your flights were booked as part of your holiday package, it may be subject to this protection. ATOL protection also applies to some fight bookings. If your flight is covered by ATOL, then it’s worth speaking to the travel firm you booked the holiday through. They are duty bound to either try to find alternative travel options for you - such as flying with a different airline - or else to provide a full refund. How do I check if my holiday is ATOL protected? If you head over to the ATOL website, then you can search for whether a travel business is an ATOL holder by using their business or trading name. The travel business will likely state on their website if they have ATOL, though the organisation has warned that some businesses that offer cheap flights or holidays - based outside the UK - claim to hold ATOLs when this isn’t really the case. As a result, it’s crucial that you are extra vigilant when booking a holiday online to ensure it really does have the level of protection it may claim to. If your flights are not protected by ATOL, then the next stage is to check your travel insurance. Depending on your policy, you may be able to claim the money back. That’s because many policies include cover for ‘scheduled airline failure’, which should be enough to cover the cost of your initial flight booking. The Flybmi collapse is a good reminder of just why it’s so important to have travel insurance in place from the moment you book your holiday, rather than leave it to the last minute to arrange cover, or even risk a trip without any insurance in place at all. Another important consideration when it comes to getting your money back is whether you paid for your flights with a credit card. That’s because credit card purchases enjoy additional protection compared to when you spend with a debit card, thanks to Section 75 of the Consumer Credit Act. This clever bit of legislation ensures that if something goes wrong with a purchase, you have a couple of options when it comes to getting your money back - you can try to get the money back from the retailer or from your credit card provider. 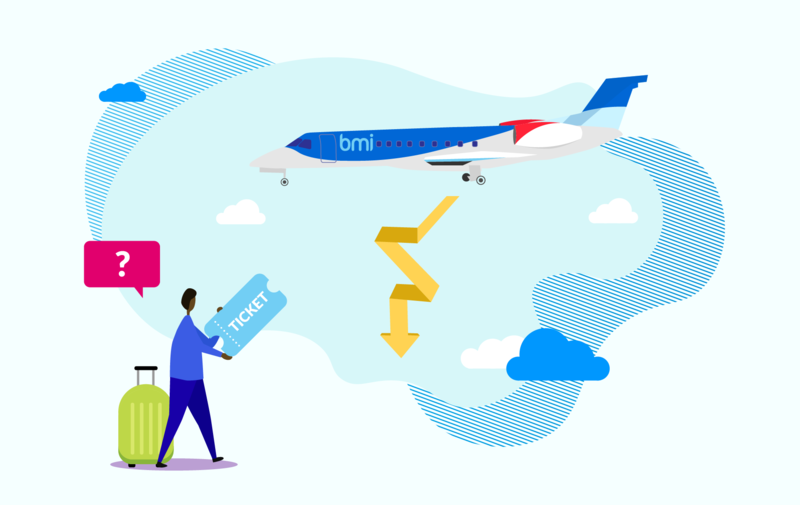 This is incredibly useful when it comes to situations like the Flybmi collapse - you won’t be able to get your money back from the travel firm, so instead you can try to get it back from your card provider. In order to qualify for Section 75 protection, the purchase will need to have been for more than £100.